Ryan Sewell, CPCU has more than 12 years’ experience in the property-casualty brokerage field. 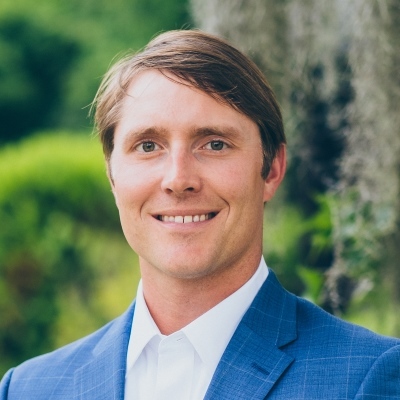 He previously served as a vice president and commercial insurance broker with Bernard Williams & Co. in Savannah for approximately 10 years and most recently was a client executive with Seacrest Partners. An active supporter of his community, Ryan has volunteered his time and talent with numerous organizations, including: Savannah Chamber of Commerce (Board Member); United Way Campaign (Cabinet Member); St. Patrick’s Day Parade Committee (Executive Committee Member); UGA Terry College of Business Young Alumni (Board Member); St. Joseph’s / Candler Foundation (Candler Clay’s Committee Past-Chair); Leadership Savannah Graduate (Class of 2012); Savannah/Chatham County Court Appointed Special Advocates (CASA) (Board Member); Coastal Heritage Society (Board Member); Fellowship of Christian Athletes (Board Member) and Savannah Quarterback Club (Member). Ryan attends St. Peter the Apostle Catholic Church and lives on Wilmington Island with his wife, Sarah, and their two boys, Reid and Hayes.